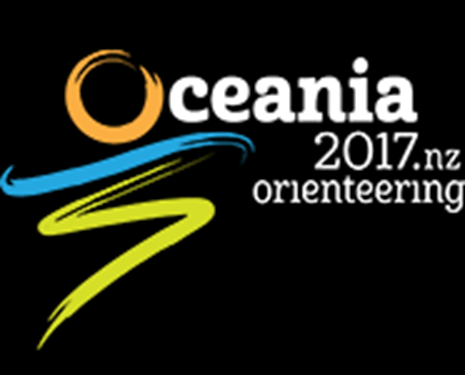 There will be an AUS-NZL Challenge as part of the Oceania Championship to be held in NZ, April 14-17, 2017. Orienteering Australia aims to select strong teams to contest the Challenge against New Zealand and calls for nominations across all age classes. We urge all available athletes to nominate for the Australian Challenge team to enable a strong challenge with reserves to cover contingencies across all classes. These spirited challenges are traditionally a tight affair with friendly, competitive Trans Tasman rivalry. We urge experienced competitors to rally team nominations for their age classes. We are also calling for an Australian Challenge Team Manager to coordinate the Australian Challenge team for the Challenge and encourage applications from those who would like to contribute to the success, camaraderie and coordination of the team. Please contact Lance Read or John Harding by 16th of October to express your interest in this role. There will also be an Elite ANZ Bushrangers test match (MW 20E, MW 21E) and Schools Team tour as part of the competition structure across the carnival week. Teams for these competitions will be managed separately but will count towards the overall challenge results. These will provide an exciting extension to the Challenge. The selection criteria for this Australian Challenge Team to participate in this challenge are below. For MW 18 and master’s classes (MW 35 +), the Australian Long, Middle & Sprint 2016 as the primary selection races, with Easter 2016 results as secondary performances to call upon where further clarity is required. 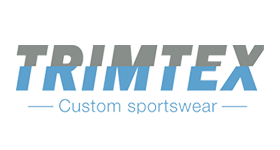 For, MW21E and MW20E, the Australian Long, Middle & Sprint 2016 including recent international performances as the primary selection races, with Easter 2016 results as secondary results to call upon where further clarity is required. Selection criteria for MW16 will be as per School Sport Australia rules shown here in full which outline that greater emphasis should be given to the three Australian Schools Championship races ahead of the Australian Long Distance Champs. Detailed selection criteria and processes for this class will be available in the Australian Schools Orienteering Championship program. This challenge class will be selected in accordance with School Sport Australia rules and protocols. MW 18 competitors and parents please note that there will be, in all likelihood, two separate teams available to participate in. One for those at school in 2017 (The Australian Schools team and tour) and another for those who are no longer at a secondary school in 2017 (the AUS Challenge team). Current School Sport Australia rules state Competitors must be in attendance at a recognized school, or, in the case of a Test Match contested between 1 November and 31 January, have completed their schooling within the previous 3 months. As the Schools Test Match will be contested outside of these dates, only athletes who are at a school in 2017 will be able to participate in the Schools Tour. MW18 competitors who are not at school in 2017 should nominate for the Australian Challenge team on the understanding that they will be organising their own travel and accommodation arrangements. Students should seek clarification from their school team managers regarding which team to nominate for. Special consideration other than injury or illness may be considered in exceptional circumstances. Section 5.3 of the operational manual states the only grounds for special consideration are injury and illness. While this will generally be the case, in considering the performances of athletes at events, or other attendances required under these criteria, the respective national selection committees may, at their discretion, give weight to extenuating circumstances. In such circumstances (for example, travel delays, bereavement or personal misfortune), it is the athlete’s responsibility (school team mangers may submit special consideration applications on behalf of athletes) to submit a written application with evidence for special consideration to the appropriate selection panel.